that can be enhanced by the placement of seed beads. The position of beads is shown in the chart. *Alice* is one of the 12 patterns included in the ebook *TuecherRausch*. 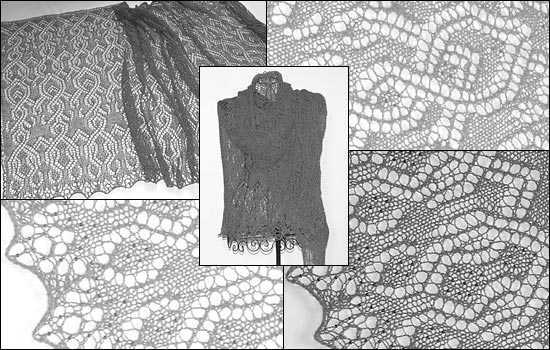 The book also contains 27 workshops about special techniques used for knitting lace – from casting on to blocking the finished project.